All homes currently listed for sale in the zip code 84009 as of 04/24/2019 are shown below. You can change the search criteria at any time by pressing the 'Change Search' button below. "3D Tour! Click Tour Link for Virtual Walk Through. This is a Luxury home unlike most you can find elsewhere! 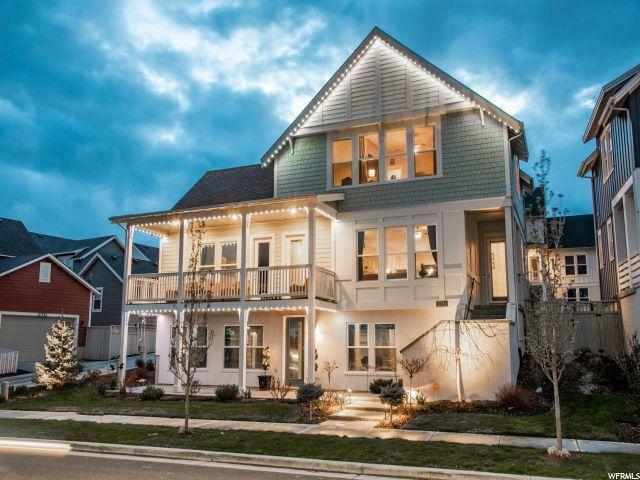 The 2015 Parade of Home in Daybreak's Lake Village will be a beautiful house that you can call home. Trim Work Throughout the whole home! 2 Brick Fireplaces on the main floor* Plantation Shutters throughout main floor and upper* Multiple French Doors to Covered Porch and Side Patio* Formal Entryway* Theater Room & Equipment* Professional Landscaped Yard* Must see home you will love! Buyer and buyers agent to verify all information. " "Brand new floor plan located on the Island in Daybreak. This plan has a gorgeous large formal entry and sun room/den on the main level. It provides a huge open space for entertaining and getting the family together! Fantastic options are available such as double sided fireplaces between the outdoor patio and family room and wall to wall shelving in the loft! Come in and choose the selections to make it perfect for you! " "Spring Fling Spectacular!!! $20,000 discount on this home. Beautiful new floor plan located on the coveted Island in Daybreak. 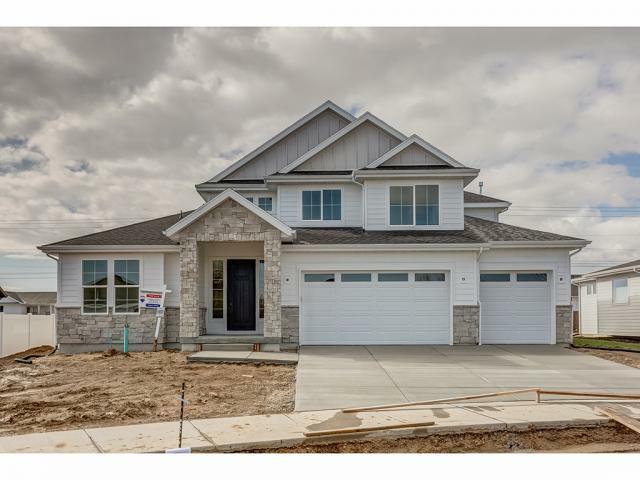 This home features an extended master suite and bath with oversized walk in closet located on the main floor! It also offers a den/office, dedicated mud room, and laundry on the main level. 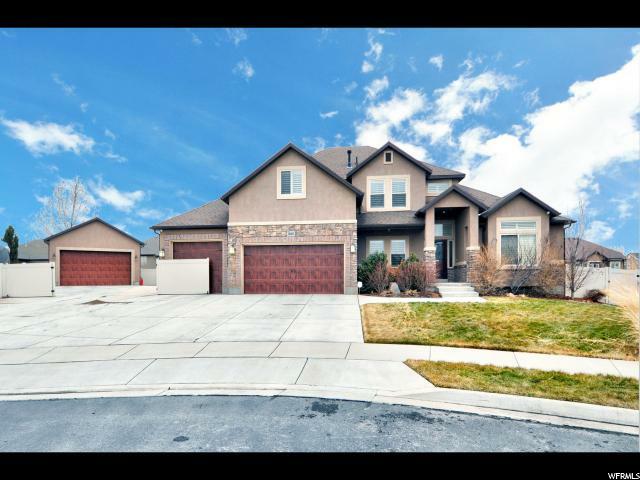 High 2-Story ceilings in the family room and large kitchen with a HUGE pantry! 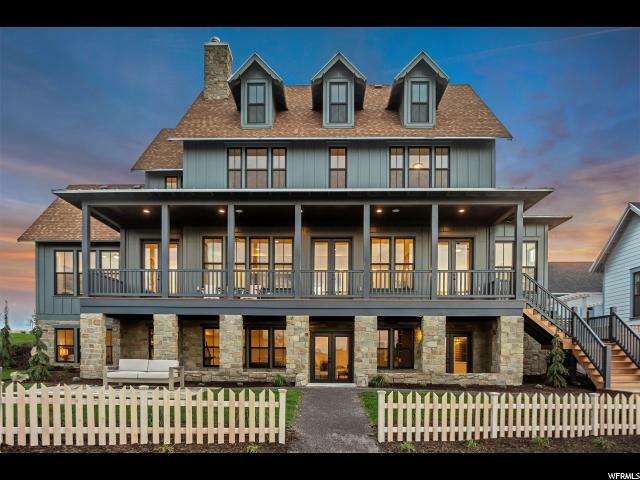 The wrap around porch ensures you take advantage of all the beautiful views on the Island in Daybreak. Be one of the first to customize this home just as you like it! " "Stunning Daybreak home that shows better than new. Seller's instant relocation creates an awesome opportunity for instant equity. Purchased for $759K seven months ago. Priced to sell - buyer's lucky day! Upgrades throughout every level- nothing has been overlooked. Spectacular laminate floors throughout the main level, vaulted ceilings, shiplap fireplace, and two tone paint plus accented black doors. The formal living room could double as a formal living room or great home office. The spacious open kitchen, family and dining space have tons of natural light and is great for hosting gatherings, parties, and dinners. Kitchen features two tone cabinets, gorgeous pendant lights, custom hood over the gas cooktop, large pantry, stainless appliances, and Quartz counters. If having a grand master suite is on your must have list, this one will not disappoint. With an attached sitting room and spa-like master bathroom, you may never want to leave. Upstairs has an additional 2 bedrooms and full bath, while the fully finished basement has 2 more full bathrooms, 2 bedrooms, a home gym, plus home theater. 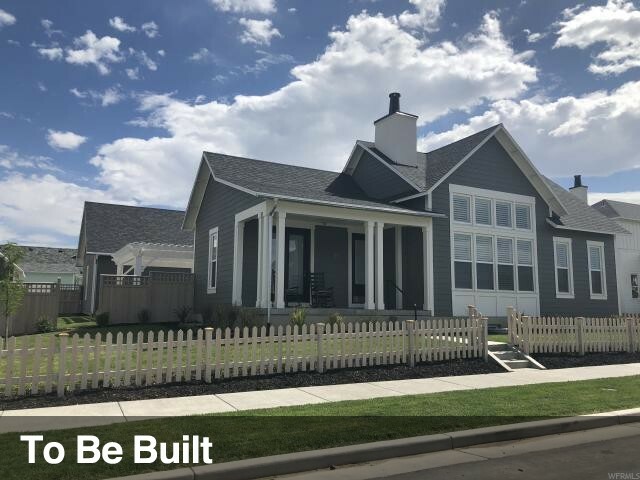 Additional features include plantation shutters throughout, a custom pergola on the back patio and a 220 V for a future hot tub. The outdoor entertainment and enjoyment you you get out of this home is priceless! This home has all the comforts inside and out to meet the most discerning buyer. 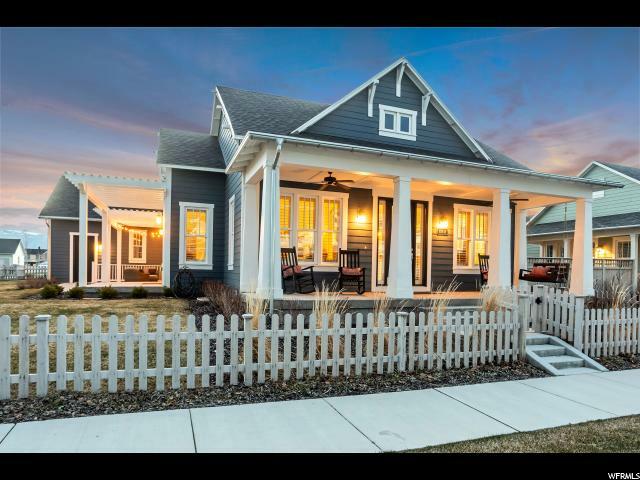 Situated near two parks, a few minutes walk from Oquirrh Lake, a short bike ride to shops, dining, and entertainment...everything is literally at your fingertips. Schedule an appointment today to see this beautiful home. " "Spring Fling Extravaganza!!! $20,000 discount (Already applied) Gorgeous new floor plan located on The Island in Daybreak. 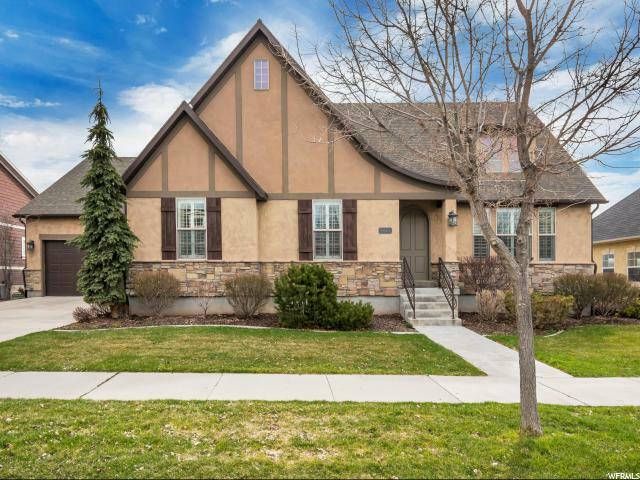 This home has high 2-story ceilings open to the family room, a spacious kitchen with walk in pantry, tons of windows that fill the home with natural light, and a dedicated mud room and laundry room. The master is large and is located on the main floor! All 3 other bedrooms are upstairs and will have stunning views. It has an oversized 3 car garage and wrap around porch. Be one of the very first buyers in the coveted Island Village in Daybreak. Hurry in to select all of your options and make it your own! " "Spring Fling!! We are currently offering a $20,000 discount on this home. 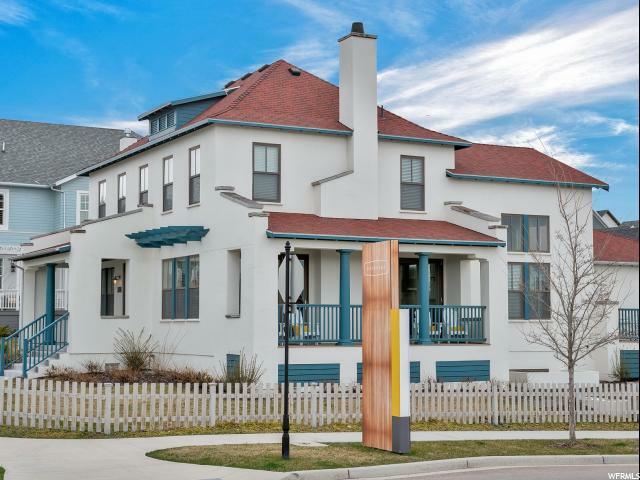 (Reflected in the price) Located on the luxurious Island in Daybreak. Massive single level living floor plan! Gorgeous vaulted ceilings that give way for lots of windows with tons of natural light to illuminate the home. Breath taking views and unbeatable amenities. This home is perfect for hosting with its own private court yard and its spacious open floor plan. Stunning finishes. Hurry in to customize this home just the way you like it! All of your landscaping & fencing is included." "**Lake Village Daybreak Home Upgraded like a MODEL**Wrap Around Porch for Maximum Enjoyment of the Amazing Daybreak Views of the Lake and the Mountains**Large Kitchen with Huge Island, Granite Countertops, Double Ovens, Reverse Osmosis, Large Deep Kitchen Drawers for easy access**Custom Tile that looks like Hardwood Floors in Entire Main Living Area with Self Sealing Grout**Beautiful Wood Beams and Shiplap Ceiling Detail**Walking Distance to the Lake, Parks, and the New Daybreak Dog Park**Dual Control Furnace/AC** One of the Largest Lots in Daybreak Professionally Landscaped**Finest Outdoor Living with Patio, Fire Pit, Fruit Trees, Garden Boxes, Built-in Shed for storage**Master Suite with Large Super Shower, Double Vanity Sinks**Custom Designed Extra Deep Closets**Basement Cold Storage**Keyless Garage Entry** Daybreak Master Planned Community provides it's residents High Speed Optic Internet Service, Gym Membership, access to dozens of Parks, Pools, and Free Boating Activities in Summer. TRAX Stations and University of Utah Health Care Center are located right in the neighborhood. The summer concerts, North Shore Lake Events and Soda Row Dining and Shopping are among the many reasons residents LOVE Daybreak. Thursday night Food Trucks, Pumpkin Regatta, and the Polynesian Festival make Daybreak FUN for the whole family." "Amazing home in the heart of Daybreak. 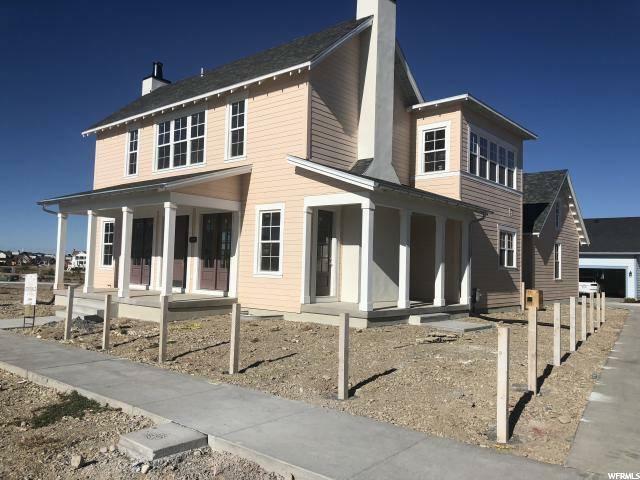 Spectacular views of the Wasatch Mountain range and Salt lake Valley and even a lake view from just 1 street away from the Daybreak lake. This home offers the highly sought after and often hard to find full functioning mother-in-law basement apartment with full kitchen and separate entrance. Enjoy the spacious great room with built-in cabinets, open kitchen and huge center island. Fully fenced yard with relaxing deck, 3 car garage and sep"
"WOW! You have to see this home. It's gorgeous with many upgrades! 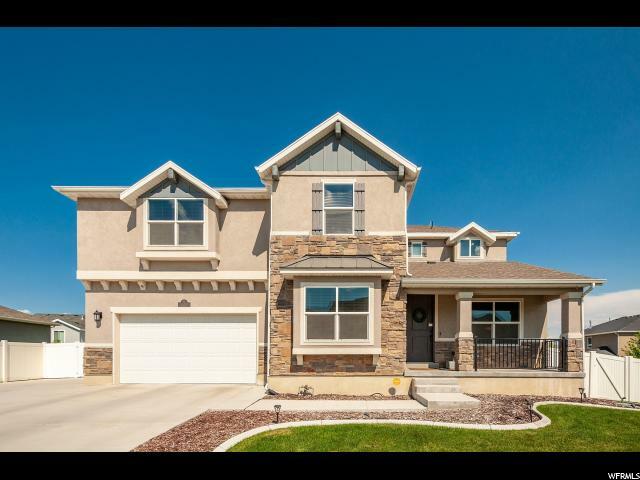 Granite countertops with large kitchen island and 20 tile, Beautiful cabinets with soft close drawers, large open great room with gas fireplace, main floor laundry. Large main floor office. Main floor master bedroom with master bathroom which has a large corner soaking tub and separate shower. Two oversized garages with enough space to park 6 cars. The second 2 car garage is detached with room to park all you toys or it will make a great workshop. Knotty alder cabinets with soft close doors and cabinets. Video surveillance with 10 cameras and over 5 TB of storage (NVR). Full Ethernet Cat 6 connections in most rooms in the home.Dual zone heating and cooling with 2 separate furnaces and AC. 2 Nest thermostats to control them. Battery backup with LiftMaster door openers in the main garage. All garage openers can be remotely opened or closed. 2 car garage door is an 18x8 foot, single garage door is a 10x9 foot. All garage doors are insulated steel back top of the line doors. Alarm system can be remotely managed and monitored. Includes wireless so more alarm zones can be added. Solid wood plantation shutters. Detached 22x28 foot garage/shop with 100 amp 220v service and 18x9 foot door. 9 foot ceiling on main floor. 20 foot height in great room area. RV dump located on property." "The Roosevelt Floorplan : A Master on Main floorplan with 4 bedrooms upstairs, a spacious kitchen, mudroom and laundry room all on the main floor. The kitchen includes double ovens, gas cooktop, large island, appliance garage, and cabinets to the ceiling. " "The Princeton Master-on-Main floorplan. Designer Finishes throughout. 36 inch gas cooktop, custom wood range hood, double ovens, grey and white cabinetry with custom pullouts and drawers, and a round out this custom kitchen. Upgraded plumbing and hardware throughout. Large pantry and plenty of closets. Two-Story Vaults, custom finish work including mudroom and ceiling details." "Come see this English Romantic Tudor on quiet street with a HUGE backyard that is perfect for entertaining!! 4 CAR Garage, a rare find in Daybreak! LARGE main floor master with TWO walk in closets. Beautiful Australian Cypress Hardwood floors throughout main living spaces. Kitchen boasts: Dark knotty wood cabinets, Granite Counter tops, Stainless Steel Appliances, Gas Cook top, glass tile back splash, and Pantry. Great Room has built-ins that surround the fireplace to create the perfect ambiance. Formal living room that can be modified to office. Dark wood stairwell leads to 9Ft ceilings in basement that has an open family room. Perfect for TV, games, and or reading. Plenty of bedrooms and bathrooms for your family. *Granite counter tops throughout* QUICK ACCESS to the highway and the corridor. Walking distance from Elementary school, NEW Swimming Pool, Community Center, Gardens, Volleyball court, and Splash pool. Don't miss this exceptional home!! **Showings will begin on Friday after 3pm. 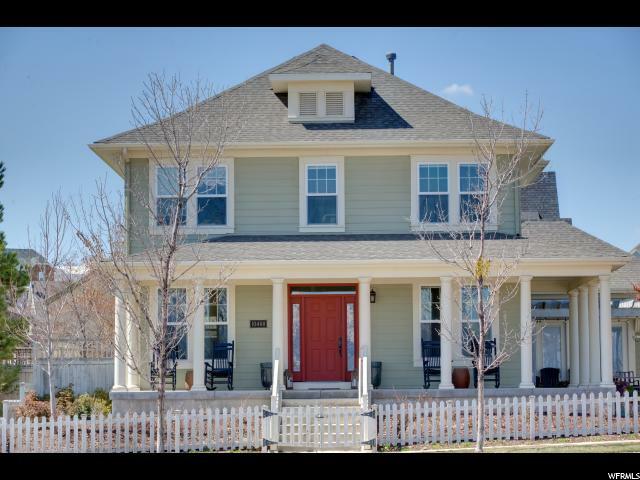 OPEN HOUSE Saturday March 30th 1-4pm." 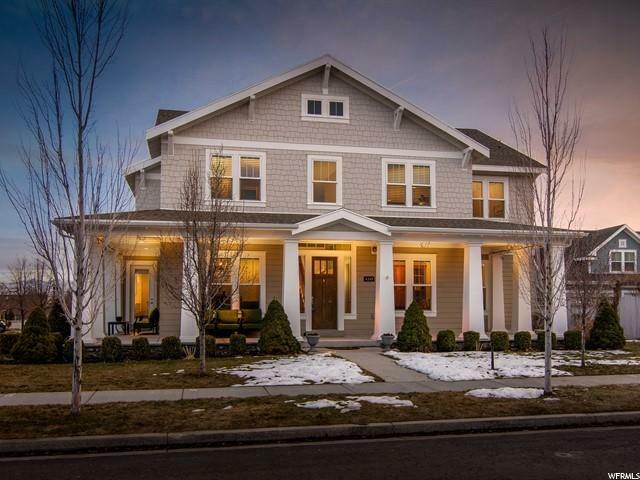 "Put this GORGEOUS former model home on your Must See list! 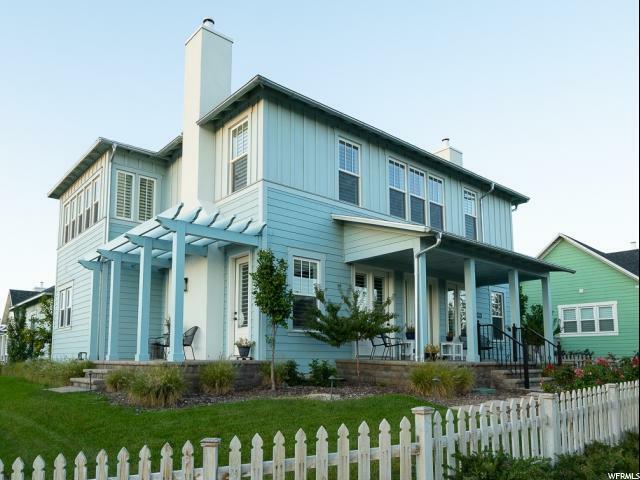 Right across from the lake, and walking distance to a sandy beach and Thursday night food trucks, this 2-story stunner is ready and waiting for you. Beautiful hardwood floors, a huge granite island and newer appliances make this kitchen a gourmet's dream (gas is stubbed up for a gas range if you prefer). Host parties in your private backyard, or let them flow into your incredible side yard-- either way the landscaping is top notch and the curb appeal is killer. You'll love the whole home sound system that allows you to play different tunes in the kitchen, living room, dining room, master and on the patio. Both family rooms also come equipped with 5.1 surround sound systems, including amps and sub woofers. And the porch! Sit out here and watch the sun come up across the lake. This is living at it's best!" 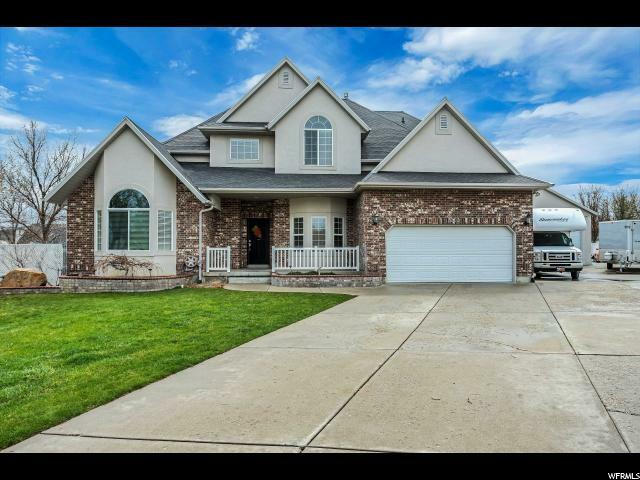 "Gorgeous well maintained two Story Brick /Stucco home , Large RV pad , Extra Large Detached 3-4 car garage , Custom professional landscaping, Five tier rock backyard water fall w/ NEW pump, Secondary Water , Extra Lg. back yard deck with rail, Auto sprinklers on auto timer, Outdoor landscaping night lights on NEW auto timer, Full fenced w/gate dog run, Back yard play set w/ swing and slide, Formal Living room, Master bedroom Garden Jetted tub by Jacuzzi , Large master B/Room walk in closet customize by classy closet plus a bonus closet, Two Gas fire places one main living room, one Master bedroom, Very nice extra Lg. Laundry second floor with lot of cabinets and drawers, Central Vac though out home, Two water heaters, Custom speaker sound system though out main floor and up stairs, New Bedroom Ceiling fans, Newer Carpet, Newer Carpet, Newer Furnace and Central Air, New updated to code circuit Breakers including main switch. A MUST SEE HOME!!! Square footage figures are provided as a courtesy estimate only and were obtained from appraisal. Buyer is advised to obtain an independent measurement. **OPEN HOUSE** Saturday, 4/20 from 1-3p"
"A beautiful 2-story home , it features countless amenities including a main floor master bedroom suite, a gourmet kitchen with upgraded appliances, double ovens, quartz countertops through out the home, extra-large pantry, great room with fireplace, mudroom with bench and cubbies, and others too many to list. Home is due to be completed in July/August."